These yummy little gems came to us just this season. 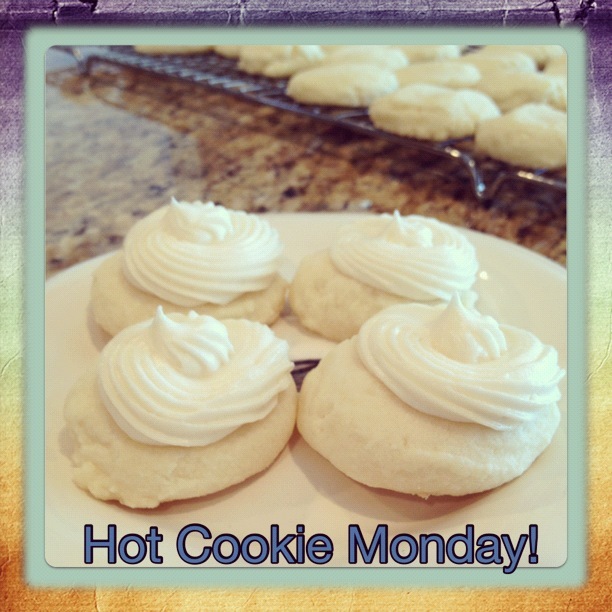 We tried this recipe and fell in love! 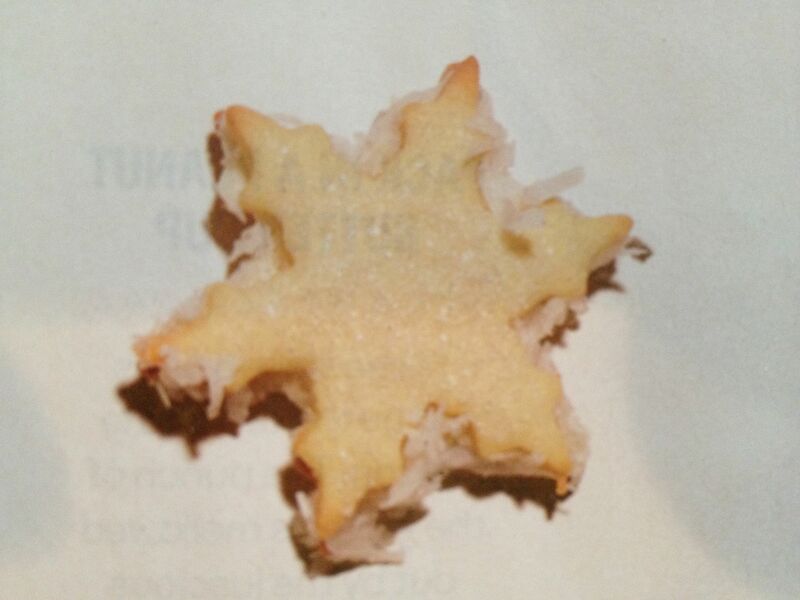 We love that they are a rolled cookie; doesn’t the snowflake shape just make it so festive? And we love the texture of the coconut paired with the tang of the lemon. Delish!!! Using an electric mixer, cream 11 Tablespoons butter and sugar until fluffy, about 3 minutes. Add eggs, and extracts, scraping the bowl and beat for 2 minutes. Mix in the dry ingredients. Divide the dough evenly between to pieces of plastic wrap. Shape into 2 disks, seal and refrigerate for 2 hours. Meanwhile, using an electric mixer, beat the remaining 10 tablespoons butter, salt, powdered sugar, half and half, lemon juice and lemon zest. Beat on high for 2 minutes, until fluffy. Cover and chill the filling. When dough is ready, roll out on floured surface to 1/8” thick, and cut with snowflake cookie cutter. Transfer to parchment lined cookies sheet. Sprinkle each cookie with sparkling sugar and bake for 8 minutes. Transfer to cooling rack and let cool. 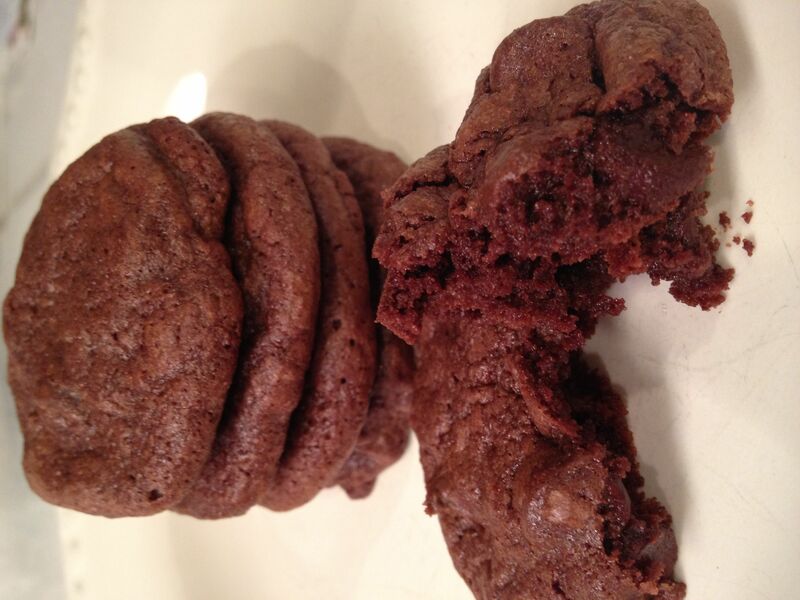 Spread the bottom each cookie with 1 teaspoon of the filling. Use your finger to press the coconut onto one side of the sandwich then add another cookie to create entire sandwich. Chill 30 minutes to set filling. We’ve mentioned several times that we love cookies here at LJB, but have we also mentioned that we love peanut butter… and we love chocolate. So, this cookie is always a favorite of ours because it’s peanut butter and it’s chocolate and it’s candy. Is there anything better than that? I submit there is not!!!! This is an oldie but a goodie, meaning that we’ve been making these for as long as I can remember and I still love them everytime I make them! Hope you do too! With an electric mixer in a medium bowl, combine the shortening and the sugars. Add the egg, peanut butter, vanilla, and milk. Mix to combine. Add all the dry ingredients and mix to combine. Shape dough into walnut sized balls (I use a small cookie scoop to do this) and roll in sugar. (I don’t like to roll the sticky balls in sugar, I’m just lazy like that, so I just sprinkle with the sugar after I have them on the baking sheet.) Place on a baking sheet lined with parchment paper. Bake for 8-10 minutes, until bottoms are golden. 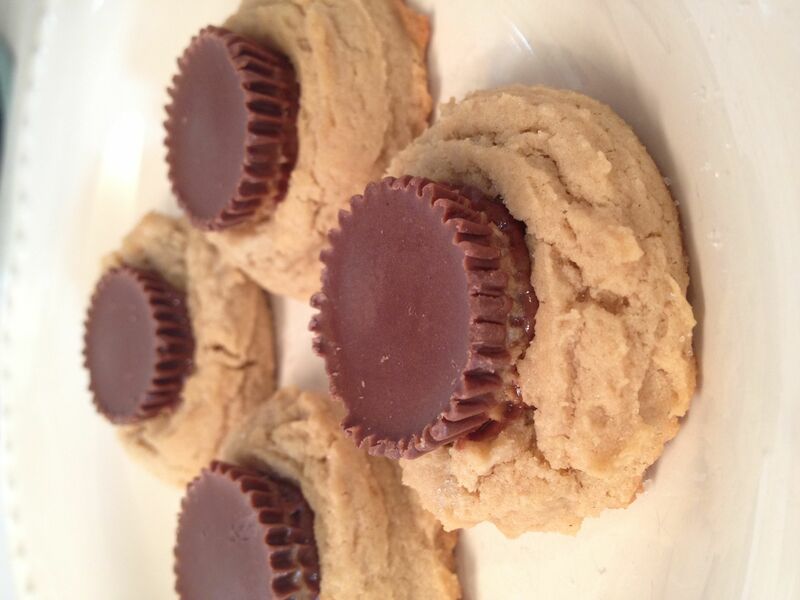 Remove from oven and immediately press one peanut butter cup in the center of each cookie. Let cool and serve. *** You can also use Hershey Kisses for the candy. I just prefer the peanut butter cups, because I’m a peanut butter-aholic! It just isn’t Christmas at our house without gingerbread boys! This is the recipe I grew up with. My mom made these every Christmas and I have such fond memories of decorating them, eating them, and giving them away. They are thick, soft and a tasy gingerbread that everyone loves! Mix shortening and brown sugar until combined. Add eggs and mix well. Then add honey and mix well. Add all dry ingredients until combined. Rollout dough about 1/4″ thick on a floured surface. 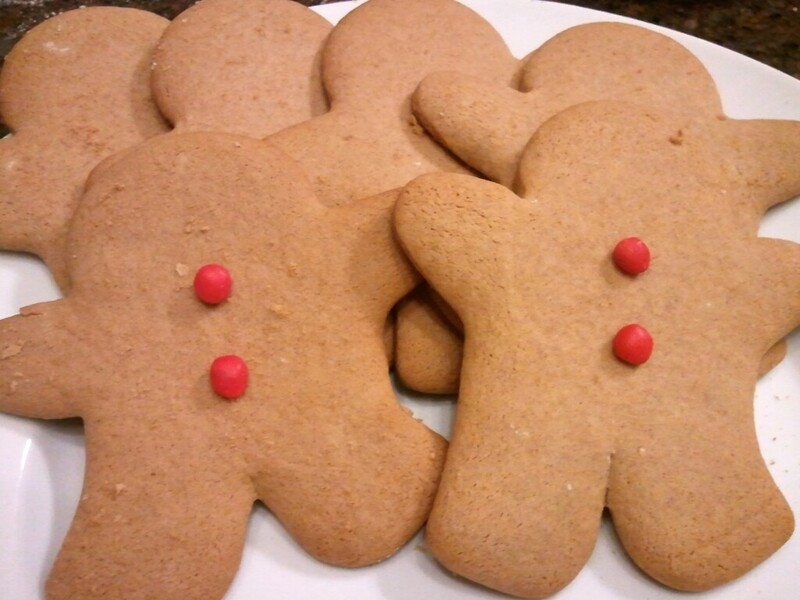 Use a gingerbread man cookie cutter and cut cookies. Bake for 8-10 minutes. Use remaining scraps and roll out again until all the dough is used. Will yield about 12 gingerbread boys!